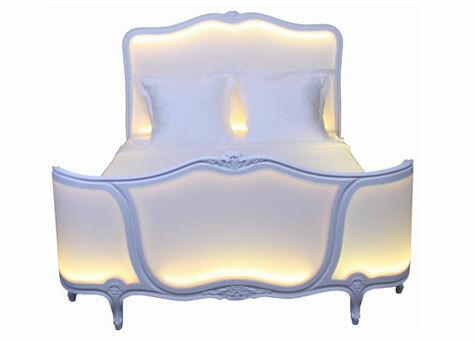 The bed is continuously changing colour and can be fixed on the one of your choice. 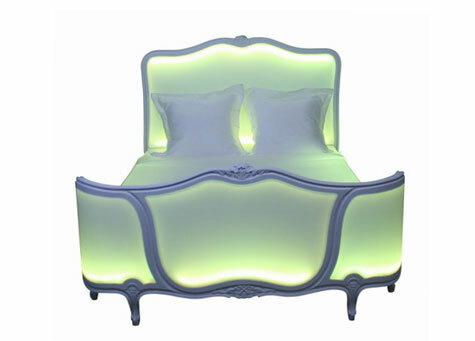 Lower the luminous intensity and uncouple the light from the bedhead and the footboard for an intimist atmosphere. Wake-up with your favorite colours. Program the lighting of the bed at the time of your choice. 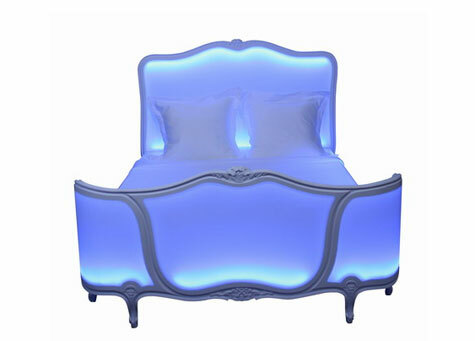 The color of the bed can be altered to match your moods and preferences with the remote control. You can even choose to deactivate the light from the headboard and the footboard as per your needs. Ik ben razend enthosiast over dit bed. Wat is de prijs en kunnen er ook verstelbare bodems in? waar zijn ze in het echt te bekijken?